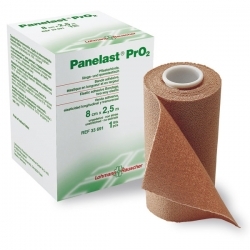 A skin-toned adhesive bandage, made of 100% cotton, with cut edges and a hypoallergenic adhesive. Elastic both lengthwise (70%) and in the width (45%). High air permeability also permeates water vapour and x-ray.